This is an update on my season’s activity and performances so far. Unfortunately I have been suffering with a few niggling injuries for the majority of the season, but have still been training hard. I have had an ankle issue which has now cleared up but I’ve also been suffering with tennis elbow, which has hampered my ability to throw the javelin and perform my best in competitions. However, I still train regularly with James Marshall (Excelsior), doing weight and speed training, as well as training at the track. Over the winter I have regularly travelled up to Loughborough university to train with David Parker (GB Javelin Coach), which has benefited my technique as well as my knowledge on what is required to become a great thrower. I have also been attending the AASE (Advanced Apprenticeship in Sporting Excellence) programme in Bath. There have been 6 workshops since Christmas that I have attended covering things like planning, preparation, psychological skills, nutrition, physio screening & 1:1 mentoring sessions with former international athletes. There are 4 more workshops after the summer with a graduation at Loughborough in December. These workshops have given me a really great insight into what becoming an international athlete involves, and has been invaluable in my development as an athlete. Even with my injury, I’ve improved my personal best a few times this season. 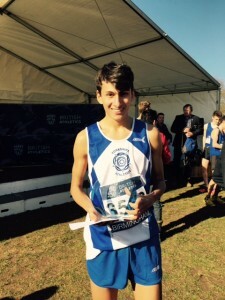 I also managed to win the Devon Schools trials and made it into the Devon team for the English Schools Championships in Gateshead, held last weekend, where I came 8th. I was pleased with this as it was a high level of competition and I threw a very consistent series of throws most just below my PB while managing my injury. I’m working hard on trying to rehab from my injury and hope to be back competing at a high level in a few weeks time. I have already started planning my winters training with James and also have further trips/training camps at Loughborough over the winter. Many thanks again for supporting me, I am extremely grateful as it has enabled me to do all that I have done and get the extra bit of coaching/ training required to become an elite athlete. Once again I’d like to thank you for the financial support you gave me for my participation in JWOC this year. I’m pleased to say I had a good run in the sprint discipline to finish 44th. The relay didn’t go quite so well but the experienced I gained from it along with training opportunities I received whilst in Norway are unforgettable and will help me to develop as an athlete and improve for the future in which I hope to compete again for Great Britain. Without your support it may have been impossible for me to go, and so I thank you again for your help in enabling me to have this experience. The picture is of me competing in the sprint at this years JWOC. I write to give you an update on Jessica and thank you again for the financial support that you provided her with at the start of this season. It has been a busy but amazing year for her, achieving many of the goals that she set herself at the start of the year. Triathlon is the event she decided to take up this year as her new event building on Biathles. It has been an amazing first year finishing in the top 3 of a number of events in the area. She also competed in the South West Championship series and finished the year in 3rd position. 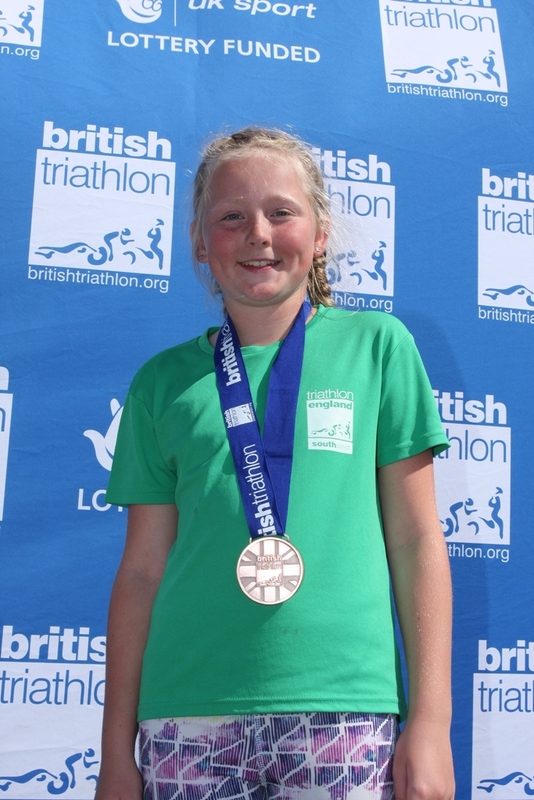 The pinnacle of the season was her selection by Triathlon Southwest to be part of the Inter Regional Team to compete in the Inter Regional Championships at the U20 Festival of Triathlon at Mallory Park. The experience will live with her for a long time as she competed on the same track as older youths challenging for GB Honours to go to the ITU event in Chicago. The 12 strong squad did very well at this event although not taking any individual honours came away with the bronze team award. The support you provided was greatly received, helping her to attend 3 residential camps through the year and buy equipment upgrades to give her the best chance possible in the Triathlon series. 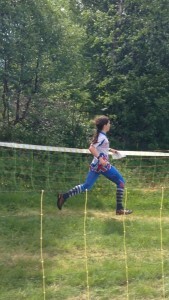 The Biathle and Triathlon series have now drawn to a close and the training regime has now started for next year along with competing in cross country in the hope of retaining her Somerset vest for the inter area championship early next year. I have attached a picture for use on your website if you wish and again just wish to thank you for the support you have provided which has helped make this seasons events possible. 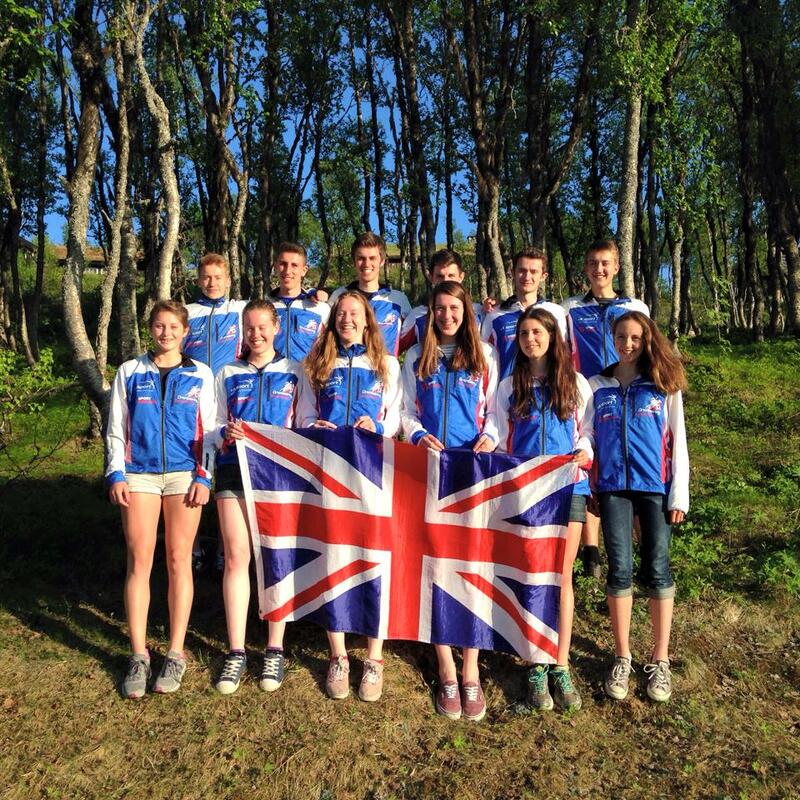 The Great Britain team traveled out to Rauland in the Telemark region of Norway on the 1st July in order to compete in the Junior World Orienteering Championships 2015. We spent the first few days getting used to the terrain and mapping in official training areas, and preparing mentally and physically for the upcoming competitions. This was particularly useful for me, having never orienteered in Scandinavia before, as it requires different skills and it was interesting to compare things such as running speeds in marshes and forest to assist with route choices later on. 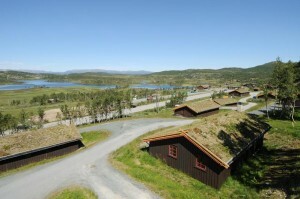 My first race was the Sprint in the mountain town of Åmot. Due to an ankle injury which we now believe to be a stress reaction in the fibula, I was unable to run at my maximum speed for any of my races which was incredibly frustrating. However despite the sub-optimal physical preparation, I was able to focus on my navigation and mental preparation, meaning I gained a lot of valuable experience for next year. I had no expectations for my performance in the Sprint and I just wanted to have a fluent run without mistakes, and to stay focussed on the navigation. Based on this target, my run was a success! 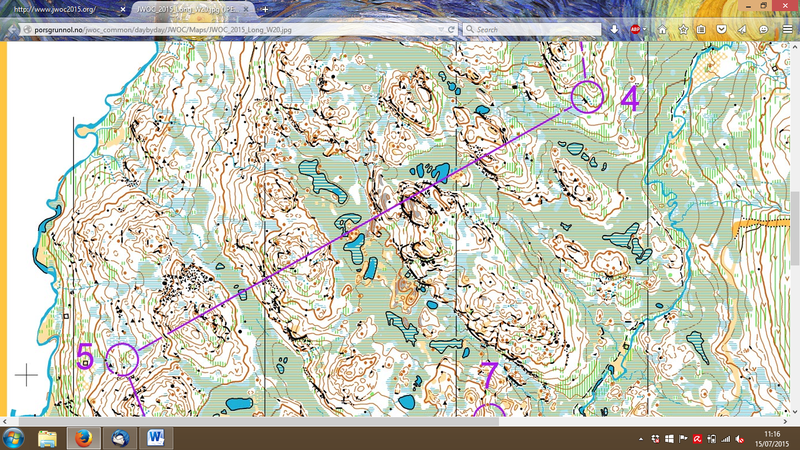 I managed to execute each leg well, despite a few hesitations due to the tricky route choices (good course planning!). I took good routes (if not the best) to most controls, and it is only obvious that I lost significant time on 2 route choices. I finished in 34th place out of 135 and was 2nd British Girl. Although this year I was 2:30 mins down on the winner Simona Aebersold, I know there is room for improvement when my ankle recovers, and with some better route choices, so I aim for a top 20 position next year! 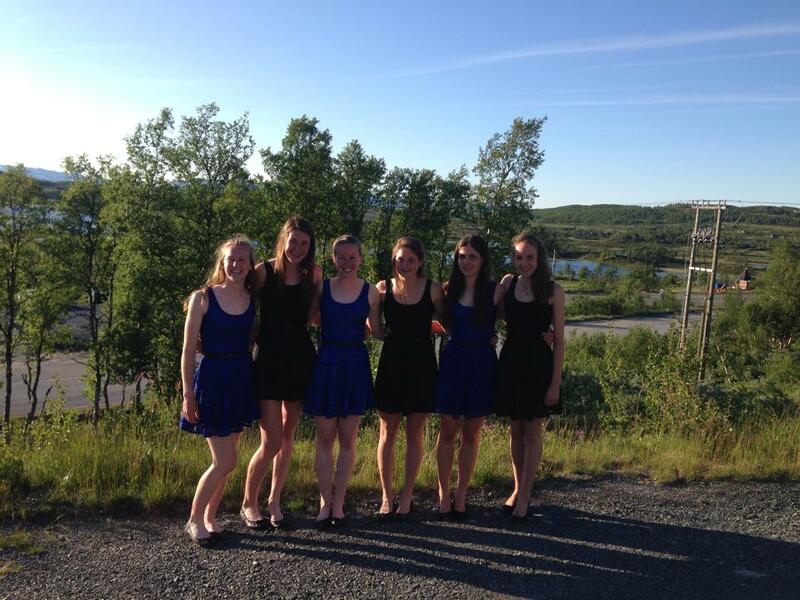 All 4 British girls gained top 50 which was a great result considering we were all JWOC debutantes. The middle distance is held over 2 races: qualification race and the final race on consecutive days. My aim this year was to qualify for the A final which required a top 20 position in my heat. Unfortunately on the morning of the race my ankle was significantly worse after racing the sprint so I was in pain on the rough ground and must have lost at least 2 minutes simply on reduced running speed. In addition I had lost some time near the beginning in an area of tricky green slope, and lost concentration on 1 control losing about 2 ½ minutes due to a compass error whilst making the transition from marsh to forest. After a tense wait, I found my final position to be 21st in my heat, an agonisingly close 5 seconds off 20th. Due to my injury we decided it would not be beneficial to run the B final as there is no chance of a top 60 position and it could damage the ankle more. Instead I enjoyed watching those who were running. I was spectating at the long distance too as I had not been selected to race it (partly due to the fact that long courses for W20’s are further than long courses for W16’s!!) The big screen in the arena showed GPS tracking and positions at radio controls whilst we waited nervously for our runners to come through the spectator control and into the finish. The day was particularly exciting as we watched Aidan Smith execute an amazing race to come 4th and to achieve the best British result ever in the mens long. It was certainly an inspirational performance, proving that we can beat the Scandis in their own terrain and gives me motivation for the future. On to the relays: I changed from A team 2nd leg to B team 3rd leg on the physio’s advice as she didn’t want me to feel obliged to finish the race if my injury got worse (she had not actually expected me to finish the middle qualification even!). Unfortunately my teammates had a few disasters, meaning I had to start in the mini mass start. I rushed off and had left everyone in the mass start behind by the time I reached the start kite, even getting a joint fastest split on the first control. However the speed was not to last as I had a miss at the 3rd control which was in a tricky area of random knolls, and hesitated too early on some legs due to difficulty judging distance after a change of speed when transitioning between marsh and forest. As the forest was quite lonely, I didn’t have anyone to lead me into controls leading to some time lost in/near the control circle. I finished a bit disappointed, but aware that I had not mentally prepared well enough for the relay as I lost the focus on having a clean run and pushed for speed at the wrong points due to the team’s low position. I ended up 8th out of 19 on my gaffle, although I was up against some major contenders. I brought the team up some places, but it was not a great result! Overall I had an amazing time. I am extremely grateful to The John Taylor Foundation for funding part of the trip as it has made this experience possible for me. I found it so inspiring and despite not being able to race at maximum capacity, I feel far more confident about my psychological preparation for the future, which is so important in orienteering. I got it right at times which gives me confidence, but lost focus at other times showing the impact on performance of not being in the right mind-set. I also thought the opportunity to race in such technical and challenging Nordic terrain was extremely useful for my development as an orienteer and I hope I will get the chance to race next year in Switzerland to improve my results, as well as to meet all my new friends again of course! After an afternoon preparing for the races with the model evets on similar terrains, I was really excited for the three races which lay ahead. The first race was the long. Having been expecting high temperatures when racing, it was a shock (and a bit of a relief) to wake up to find it pouring down with rain and temperature in the mid-teens. I had a steady run and was 24th until the penultimate control were I was caught out by an impassable fence meaning I dropped to 32nd overall. The relay was the next day. I was selected to run first leg and was excited about the chance to race against some of the best girls in my age category. Unfortunately I got really lost going to number 2 and lost about 9 mins, meaning there was no chance of catching up with the pack. I came back really disappointed and felt like I had let my team down. I was soon cheered up though by a piece of watermelon and the first day of good weather we had had since arriving in Romania. Our team finished 21st. Final race was the sprint. It hadn’t seemed too warm when we had arrived but whilst I was warming up I realised it was going to be a hot and tough race. I pushed hard all the way round, and although I may not have found all the best routes around the course, I was happy when I’d finished. I placed 40th. I had a really great trip; experienced incredible new terrains, learnt so many valuable lessons and made loads of new friends from around Europe. Thanks you very much for the grant which helped towards the cost of the trip, without such grants it would be extremely hard to compete at high levels and internationally. 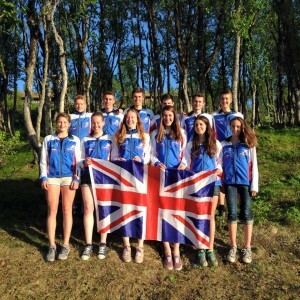 This year I was selected to represent Great Britain at the Junior World Orienteering Championships for the first time. 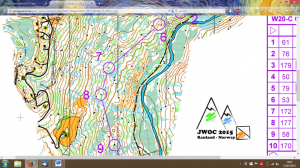 JWOC was held in Rauland in the Norwegian mountains from the 5th to the 10th of July in very technically demanding terrain. 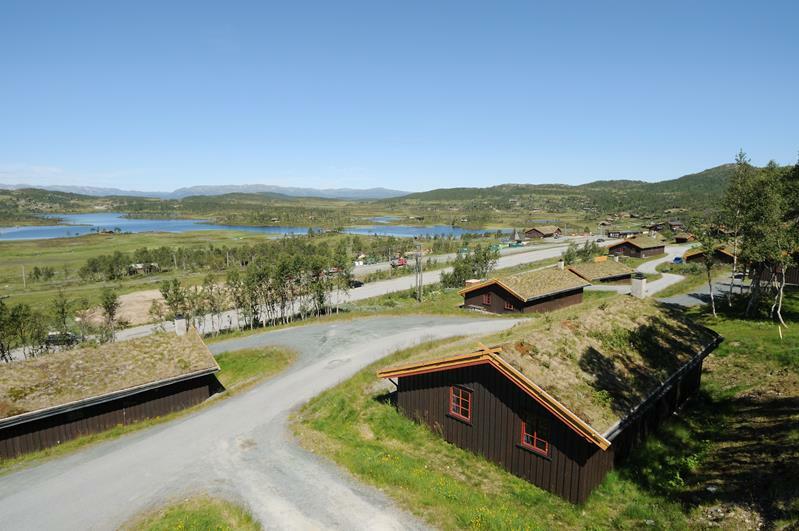 The whole team flew out to Norway a few days before the competition began to do some orienteering training on the model areas. These areas were quite similar to the competitions areas, and this helped us to get used to the way things are mapped in Norway. We also found that open marshes were good features to use as they were very obvious, which is quite different to north-west England. The first race of the week was the sprint, which I was not running in. This was because most members of the team were only selected to run for two of the three individual disciplines. However, I enjoyed watching the rest of the team compete, and finish with some excellent results. My first race was the qualification race for the middle distance. 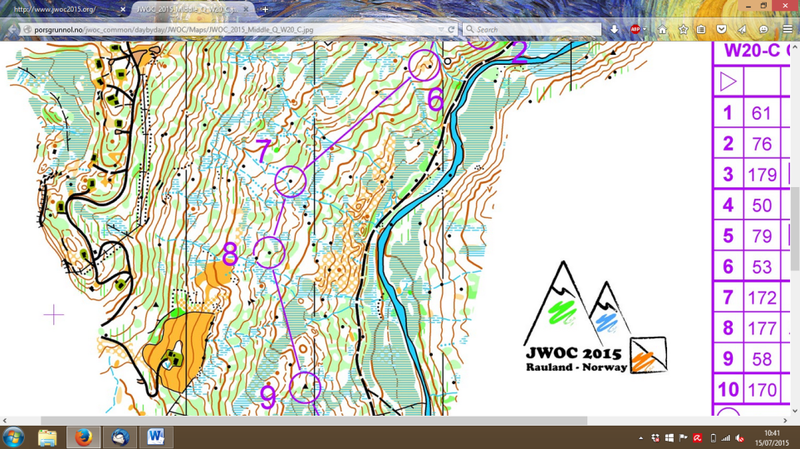 The course was almost entirely slope orienteering, with lots of legs diagonally across vague slopes. This required very accurate use of compass, and I made quite a few mistakes early on in the course, eventually finishing in 30th place in my heat and qualifying for the B final. (There are 3 heats and finishers 1-20 in each heat go through to the A final, 21-40 go through to the B final and the rest to the C final). The middle distance finals were the next day. The start list is in reverse order of the results from the qualifier, so I had a start time in the middle of B final. I found the course a lot more enjoyable, although it was still quite technical, and I finished in 8th place. I knew that the terrain for the long distance was similar to some areas of the middle final area, so having a good run built up my confidence for the long distance race. Between the middle finals and the long distance we had a day off from racing, and some of the team went to the long distance model area mainly to familiarise ourselves with the 1:15,000 map scale used in the long distance races. In the afternoon, we also went for a short swim in the lake near where we were staying. Because there are no qualifiers for the long distance race at JWOC, the start window for the long distance runs from 9am to 2:30pm. I had an early start at 9:31, which meant that after I had finished I got to enjoy watching the rest of the team finish as well. Some of the runners were wearing GPS tracking, and there were cameras out in the terrain, so there was a lot to watch on the big screen in the arena. There was lots of route choice on the course, but it was also very physical as there was quite a lot of climb and the open marshes were quite energy sapping. I had a fairly clean run, although I made a bad route choice when I caught up some runners who had started ahead of me, and I made a few errors in the control circle. How would you do this leg? My position at the end of the day was 54th, and I was the first British girl. The top result of the day was Aidan Smith finishing in 4th position on the men’s course, which was the best ever GB result on the JWOC long. The final event of the week was the relay, which was held in the same arena as the long distance. The boys relay started first at 9am and the girls relay started later at 10:20am. We were held in quarantine before the start, so we couldn’t speak to any members of the team who had already run and we couldn’t see the big screen where they were showing the GPS tracking. Fortunately, we could still see when our runners were coming in. I was on second leg for the second team, and we came back quite far behind after the first leg. I had a clean run apart from one control, where I made a massive error, but I still brought the team up a few places. Fiona had a good run on 3rd leg and we finished in 32nd. In the evening there was a party for all the teams at the hotel where some of the teams were staying. This was a great opportunity to relax after a week of hard races, and to make new friends from some of the other teams. 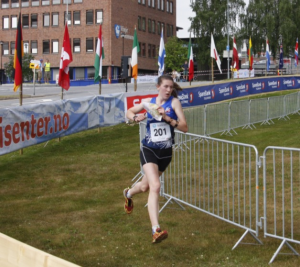 I really enjoyed my week in Norway at JWOC 2105, and I have learned a lot about my orienteering which will help me to improve my training over the winter. I would like to thank the team coaches for all the support they gave us while we were competing, and SROC, the NWOA, and the John Taylor Foundation for the financial assistance they gave me. I’m just writing to give you an update on my seasons activity and performances so far. Unfortunately I have been suffering with a few niggling injuries for the majority of the season, but have still been training hard. I have had an ankle issue which has now cleared up but I’ve also been suffering with tennis elbow, which has hampered my ability to throw the javelin and perform my best in competitions. However, I still train regularly with James Marshall (Excelsior), doing weight and speed training, as well as training at the track. Over the winter I have regularly traveled up to Loughborough university to train with David Parker (GB Javelin Coach), which has benefited my technique as well as my knowledge on what is required to become a great thrower. 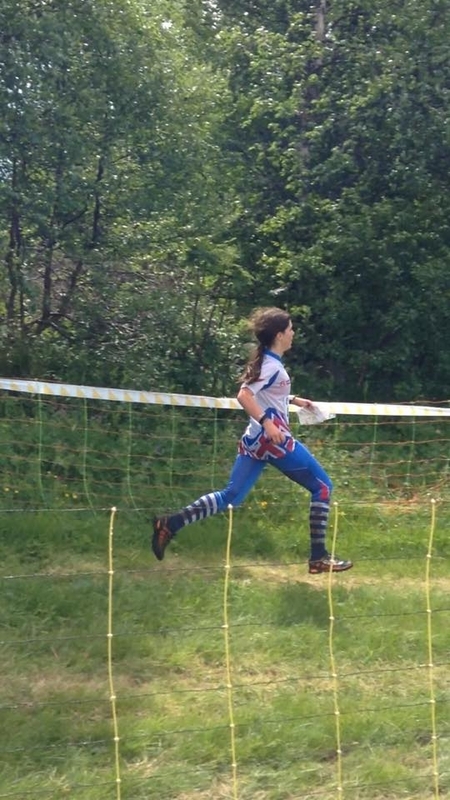 The attached picture is of me competing in the sprint at this years JWOC. Training was going exceptionally well in December with the aid of all the gear purchased with the grant. The big races were approaching and things could not look better. However, at the beginning of January I was set back by a cold meaning I had to miss the Yorkshire cross country championships and a whole week of training. I started to feel better the week after the Yorkshires and so decided to run in Cardiff in the UK cross challenge. The race was distinctly average. I came 2nd to Ben Dijkstra who was unbeaten for the best part of 3years, I only just held off a competitor that would usually be comfortably behind. Despite the performance this meant I would lead the cross challenge standings going into the UK cross challenge final race in Birmingham as I already had a 2nd place performance in Liverpool to back Cardiff up. Next up was the Northern championship in Pontefract. The cold was still lingering but I managed to come a comfortable 2nd. After the Northern the cold turned into a virus and forced another full week off training. This week off was followed by 2 decent weeks of training. Then came the National, I had hoped for a medal earlier on in the season but with the way training had gone my expectations were considerably lowered. The race was run in awful muddy conditions something which I am not well suited to. However, I exceeded my expectations and came 6th. My results up to this point had been good especially with all the missed training. I knew that with a couple more weeks of good training I could perform really well. The inter counties the finale of the UK cross challenge series was two weeks away. In the first I trained reasonably hard but well, in the second I backed off. My preseason target for the inter counties was 5th. The race began at a ridiculous pace as it was downhill and I got boxed in and drifted down somewhere near 70th place. I didn’t panic and worked my way through. By the end of the first lap I was in the 5th but the leaders were long gone as they had clear running earlier on in the race. I just had to hold on, I did. This meant I won the UK cross challenge series. So cross country season is nearly over, despite hampered training I achieved a northern silver medal and became the UK cross challenge champion, a successful season. Thank you very much for the grant it has helped me in a number of ways and I’m sure my performances wouldn’t have been on the same level without it. It has also helped my mum with the expenses of travelling all over the country – again many many thanks for the very much appreciated support.